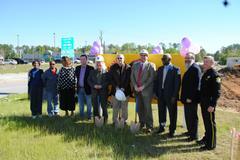 Richland County Sheriff Leon Lott, along with County Council members and community leaders attended the ground breaking ceremony for a new Taco Bell being built on Decker Boulevard or what is commonly referred to as “the International Boulevard”. Sheriff Leon Lott stated that Decker Boulevard is unique and special because it represents the diversity that is Richland County. The Sheriff is proud to partner with the County and with business owners and community members in the revitalization efforts of Decker Boulevard. 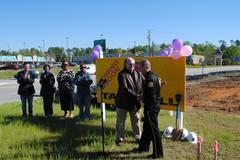 Sheriff Leon Lott added that Decker Boulevard is such a big part of what makes Richland County special. 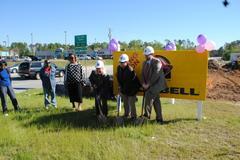 Taco Bell Franchise Owner Fred Kotoske, long standing community activist and staunch supporter of community partnerships, held the ground breaking ceremony April 6, 2011 at the corner of Decker Boulevard and Trenholm Road.